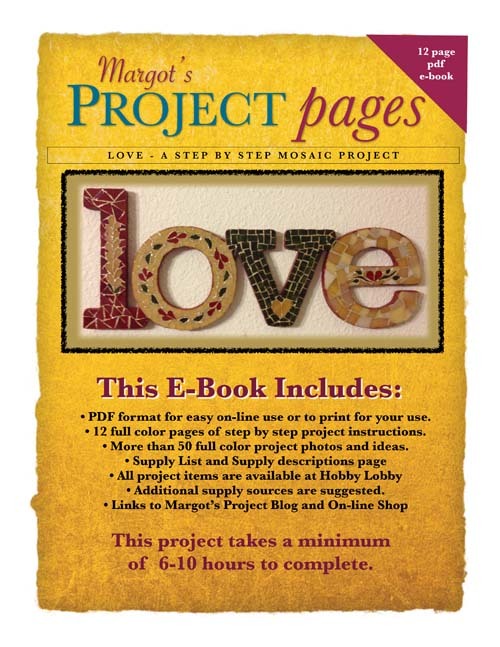 This is a step by step mosaic project created by Margot Cioccio. All the supplies are available at Hobby Lobby but other supply sources are suggested. Learn how to nip your glass into rectangles, triangles, tear drops, leaves, and crazy paving. It includes instructions for grouting and tips for processing and using your extra glass. It includes some bonus project ides. This project takes a minimum of 10 hours to complete.